LAPD Senior Lead Officer Michael Fernandez works Newton Division, one of the Department’s most difficult areas. He has dedicated his time to bringing resources to families in need throughout the community. Through his efforts, he has provided countless families with meals during the holidays, as well as basic necessities they simply cannot afford. McNicholas & McNicholas LLP has supported Officer Fernandez’s Holiday programs for the past 3 years. Join us in giving back this holiday season! 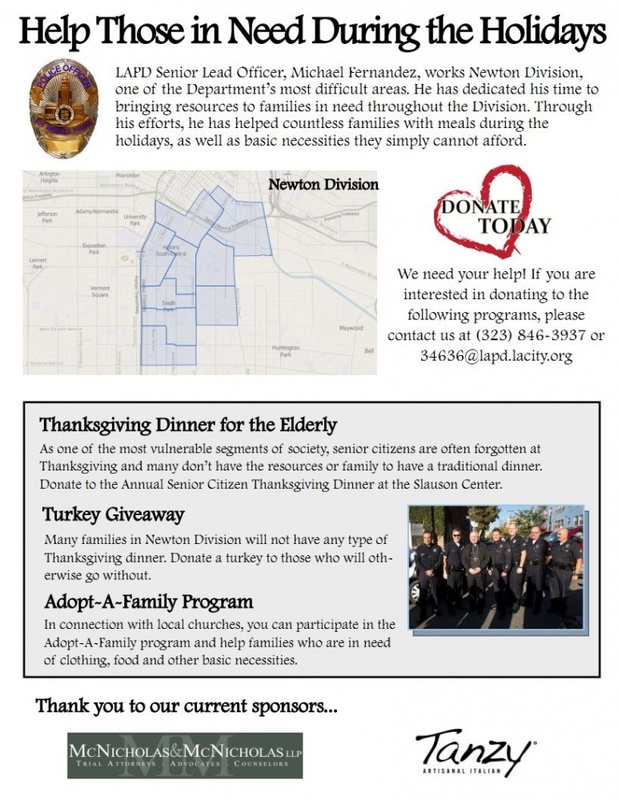 If you are interested in helping those in need, please contact (323) 846-3937 or 34636@lapd.online.